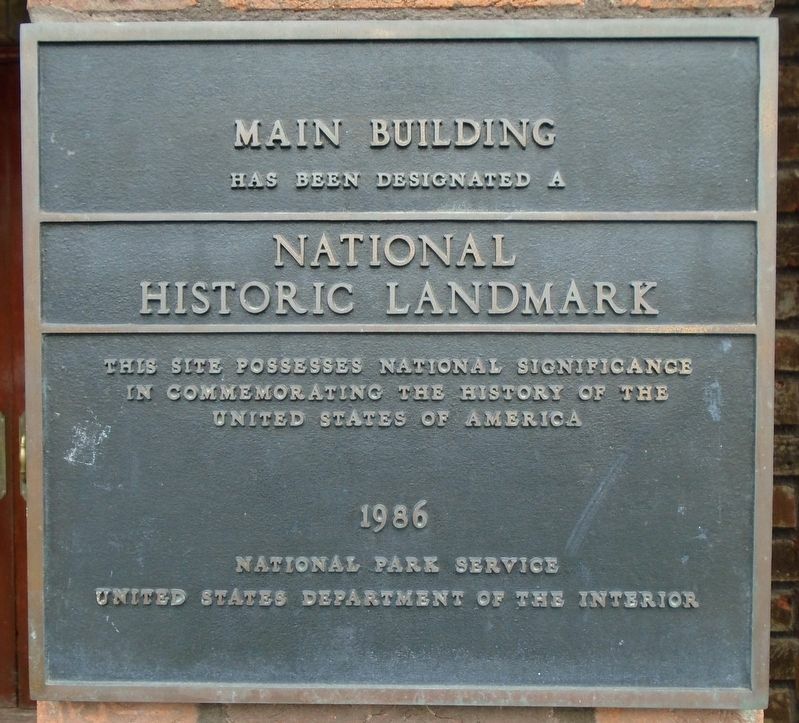 Erected 1986 by National Park Service. Location. 41° 41.209′ N, 73° 53.726′ W. Marker is in Poughkeepsie, New York, in Dutchess County. Marker is at the intersection of Main Circle and Main Campus Drive, on the left when traveling south on Main Circle. Touch for map. Marker is in this post office area: Poughkeepsie NY 12604, United States of America. Touch for directions. (approx. 1.6 miles away); Uppuqui-ipis-ing (approx. 1.8 miles away); 5th Ward Honor Roll (approx. 1.9 miles away); Soldiers Memorial Fountain (approx. 2.1 miles away). Touch for a list and map of all markers in Poughkeepsie. More. Search the internet for Main Building. Credits. This page was last revised on March 3, 2019. This page originally submitted on March 3, 2019, by William Fischer, Jr. of Scranton, Pennsylvania. This page has been viewed 62 times since then. 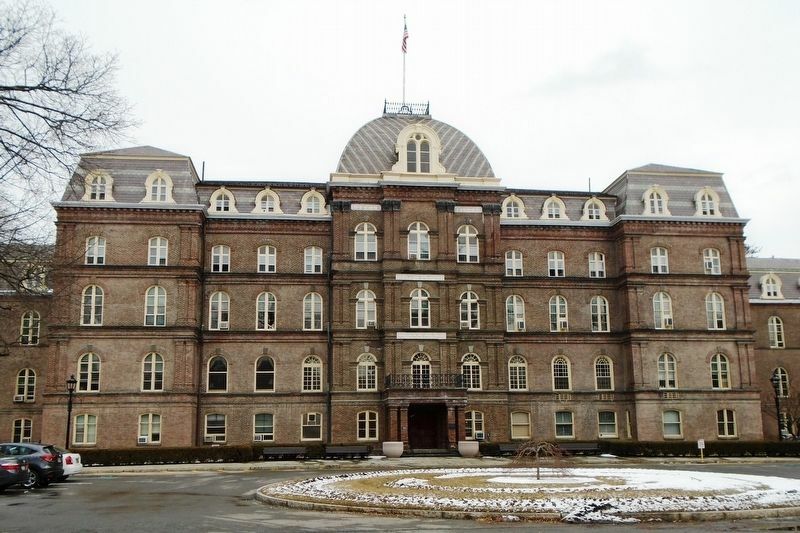 Photos: 1, 2, 3. submitted on March 3, 2019, by William Fischer, Jr. of Scranton, Pennsylvania.